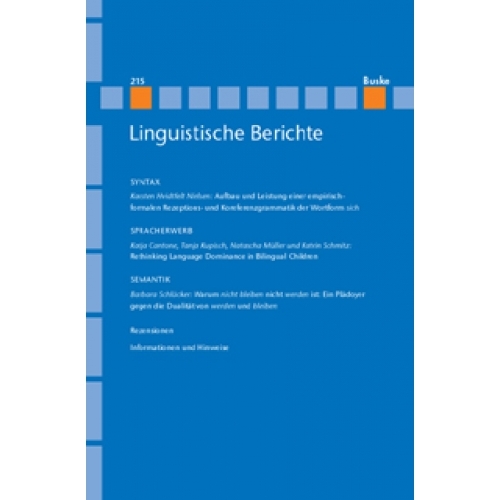 Drawing on the resources of reception theory, binding theory and text technology, I present a formal grammar especially designed to identify expressions co-referent with the German reflexive sich. 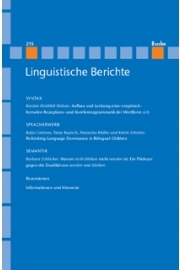 I take co-reference to be an empirical relation determined by the use of native speakers. The aim of my paper, now, is to investigate in how far the empirical performance of native speakers can be simulated by a formal grammar. According to my formal grammar, sich may occur in twelve different syntactical schemata. I investigate the possibilities of determining the expressions co-referring with sich in the two most frequent schemata. I find that 45 formal rules are needed to do the job. Of these, 39 rules are grammatically decidable in the sense that they identify for any given grammatically analysed construction at most one expression as the co-referring one. For the remaining six rules, I assume without investigating the matter other knowledge components than grammar to enable native speakers to disambiguate the relation between the reflexive and its co-referring expressions. I end with a comment on the nature of the grammar represented.